Career and Profession on priority during this transit. 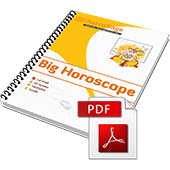 The astrological viewpoint of Rahu transit in cancer is here. Get to know how will it affect on your life, career and familial aspects. Rahu is considered to be a malefic planet in vedic jyotish. It is transiting in cancer sign on 18th August 2017 and will remain posited there upto 7th March next year. Let’s know the aftermath of this transit and its effects.